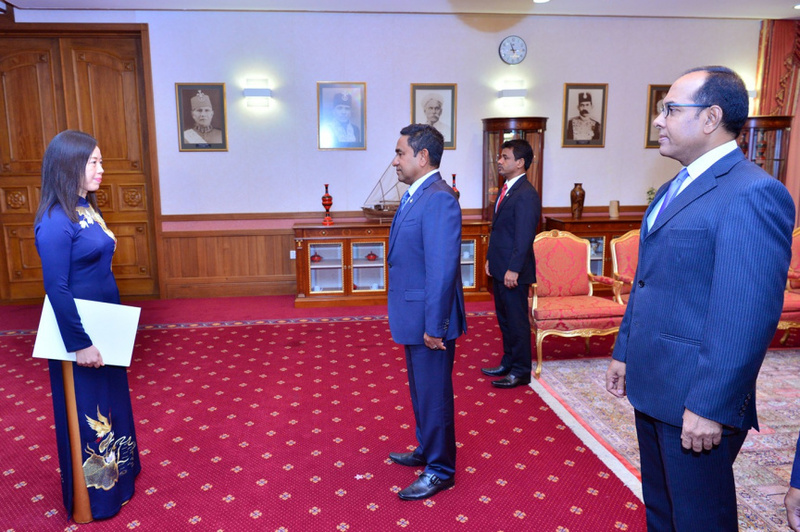 Non-resident Ambassadors from four different countries has presented their credentials to the President, Abdulla Yameen Abdul Gayoom. At special ceremony held this morning, credentials were presented by Morocco, Vietnam, Serbia and Georgia. 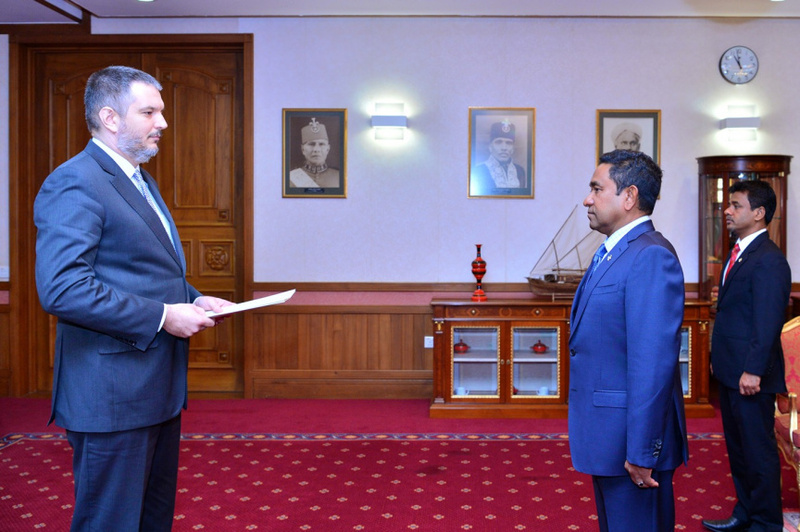 This is the first time Ambassador to the Maldives from Georgia. 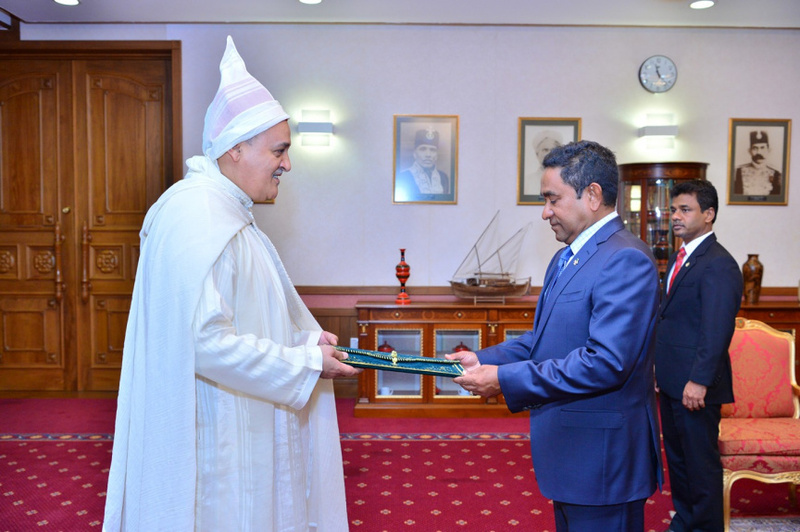 Non-resident Ambassador of Morocco to the Maldives, His Excellency Mohamed Maliki. Following the ceremony, President Yameen discussed strengthening ties and future collaborative efforts with the Ambassadors of all four countries. The President also discussed finding a solution to similar challenges facing the Maldives and other countries.